The faculty of Allied Medical Sciences organized a seminar on “Cancer Prevention” on Tuesday 20/3/2018. The seminar was given by Dr. Howida Fadel, a Lecturer at the Medical Laboratory Department where she highlighted the causes and ways of prevention of cancer. 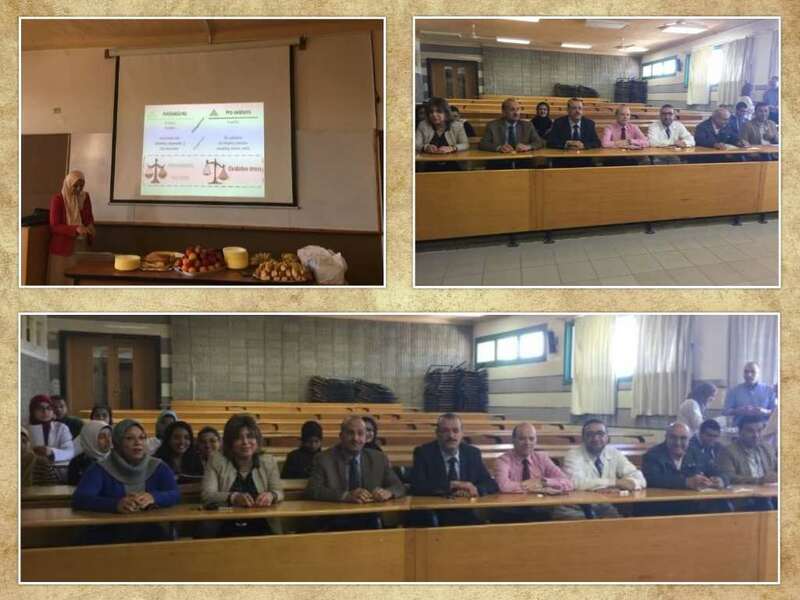 This was held in the presence of Prof. Ezzat Mohamed Algreatly, the Dean of the faculty of Allied Medical Sciences, some academic staff members and a number of the faculty students.